Hello there! 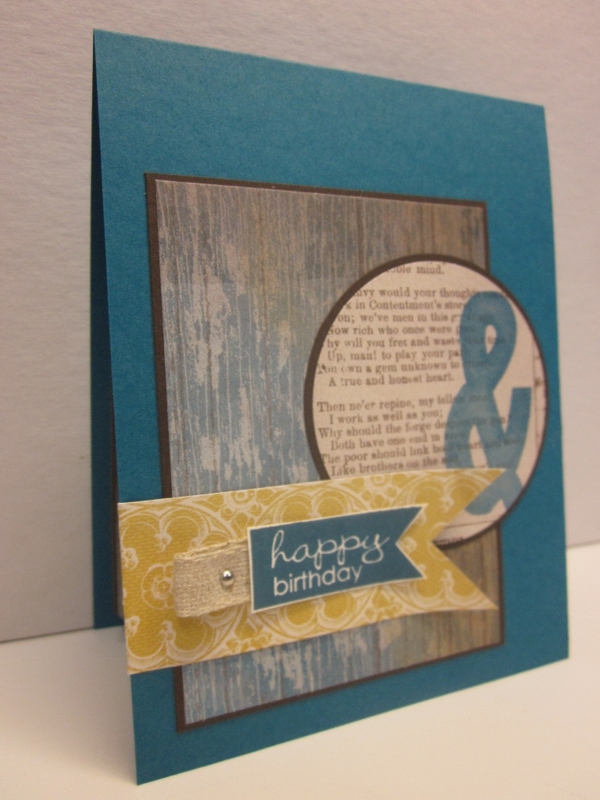 Take a look at this week's Stampin' Royalty Goddess card. 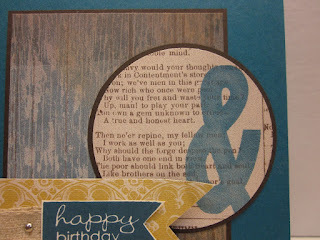 The challenge this week is masculine/Dad cards. Since I have not decided on a specific idea for my husband's Father's Day card, I decided that my masculine card stash needed a boost. 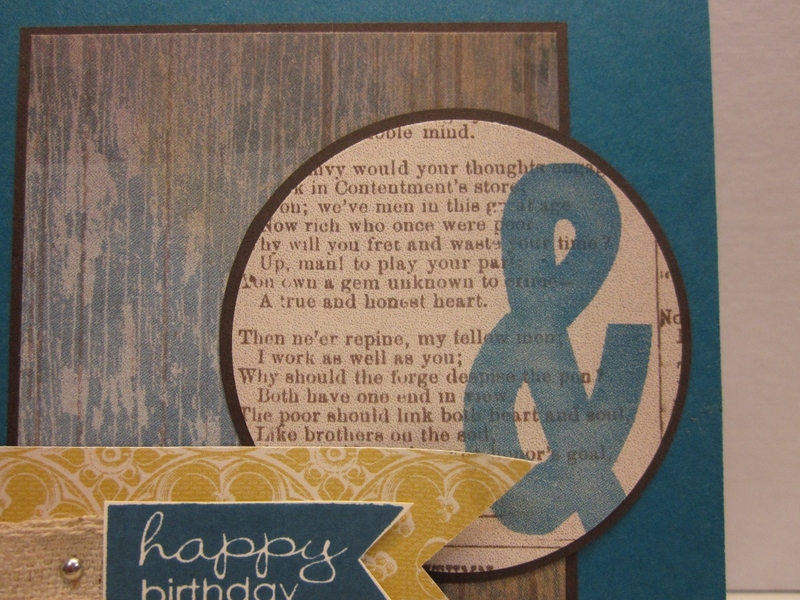 Create something MAN WORTHY, and head on over to the Stampin' Royalty to link it up. Check out these new papers, Soho Subway DSP. At first glance you might think that paper pack is feminine all the way, but you can pick and choose the papers for a masculine look. 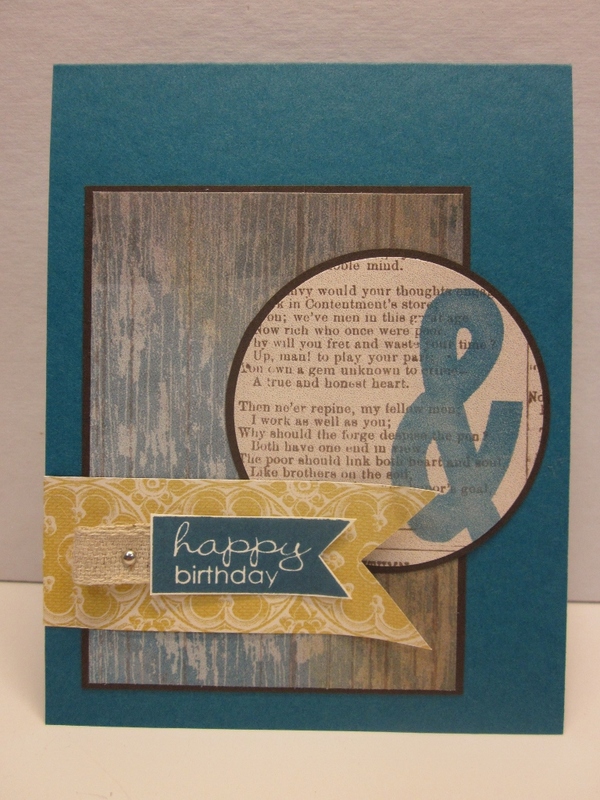 I simply punched out the ampersand on the paper, backed it with a early espresso layer, and done. The new Banner Greetings Hostess stamp is easy peasy to cut out. A bit of looped natural trim, secured with a mini silver brad, adds interest without making it girly. I found when making Man Cards, CAS is usually the best bet. This great sketch from the Fab Friday Challenge Blog fits the bill perfectly. Great guy card! 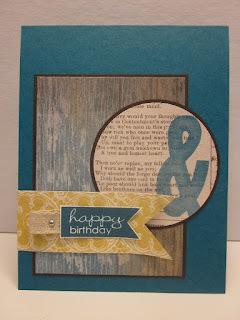 Highlighting the ampersand is a great idea and I love the little trim loop! Thanks for sharing at Fab Friday! This is a wonderful masculine card. The color combo is perfect! I love the layered banner. Thanks for playing at Fab Friday! 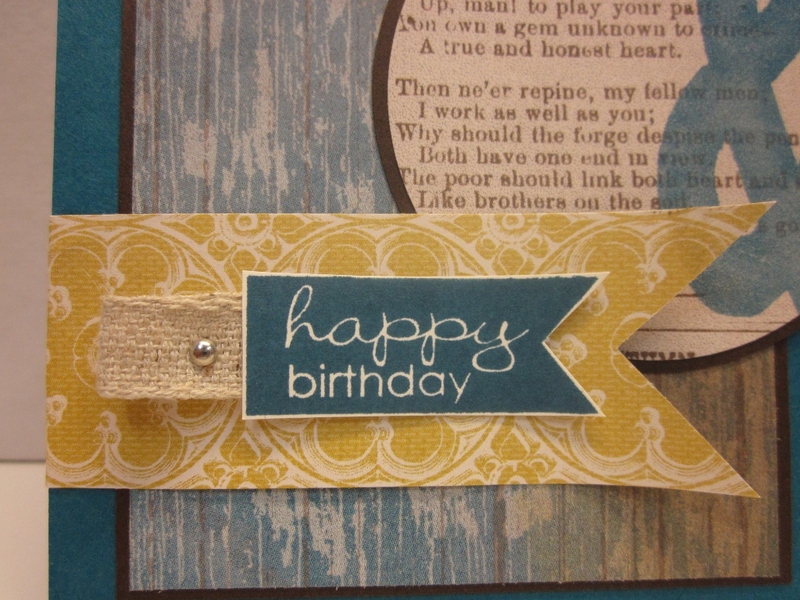 This is a great card! I have noticed a lot of people using the & sign lately! I need to do the same thing! Awesome job! Thanks so much for sharing with us at Fab Friday. Love this! Masculine goodness to perfection. Thanks for joining us at Fab Friday this week!